The infamous Baofeng. Specifically, I have the UV-5RA model. This is a lot of new hams' first handheld radio, and perhaps first radio period. I picked this one up because it was half the price of paying for a new battery to get my Yaesu VX-7R back on the air, and I had to get a reliable handheld radio quickly. I've had this one for about a year. I'm not sure I'd recommend it as a first radio unless you're really on a budget, but for what it is, I've been pretty happy with it. Lack of features compared to my Yaesu radios aside, my only complaints are that it poor intermod rejection, and the receive CTCSS squelch frequently fails to keep RF noise from coming through the speaker when there's not a real carrier there. One thing that a lot of people complain about is the OEM antenna, but people complain about stock antennae on all handhelds. I stay pretty close to the repeaters I use frequently, so mine hadn't given me any problems until recently. A few weeks ago, I noticed that I had trouble picking up a repeater that's REALLY close during the weekly storm spotter net. Checking into these discussions weekly, even in the off-season, is one way to check that your equipment works. Mine wasn't. 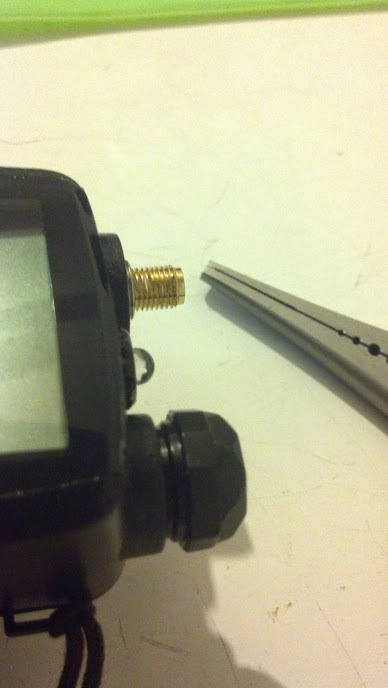 After testing everything else, the OEM antenna turned out to be the culprit. I cut it open to see what's inside. 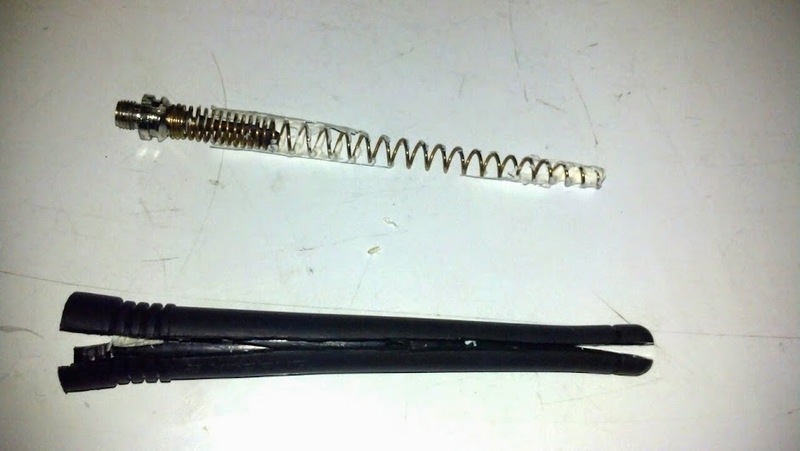 In my case, the wire going from the center SMA pin to the antenna coil had broken loose. You can see the antenna guts below. 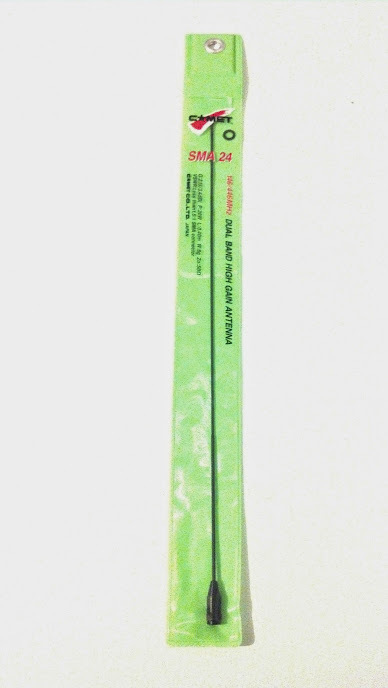 I have a lot of antennae with male SMA connectors for my Yaesu handheld radios. 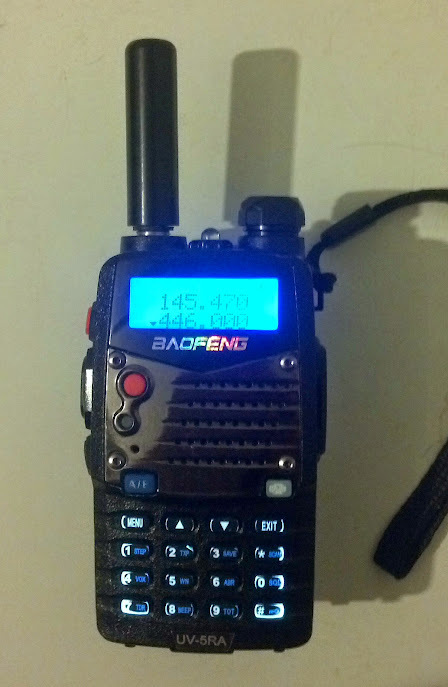 A lot of these inexpensive Chinese radios (Baofeng included) use a female SMA antenna for whatever reason. Instead of coughing up $20-$40 at the local candy store for a new antenna that works with my Baofeng, I picked up an SMA coupler similar to one you can find at Radio Shack. 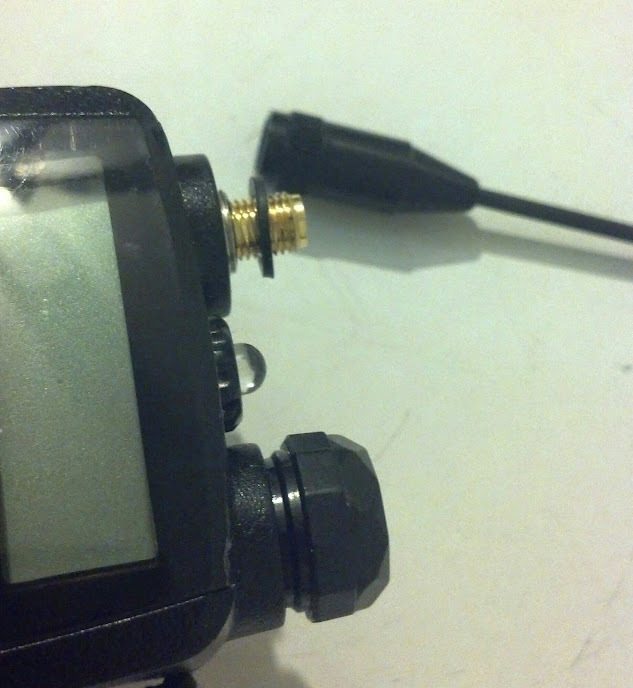 It has flats on the sides, so I used a pair of needle nose pliers to screw it tightly into the Baofeng. 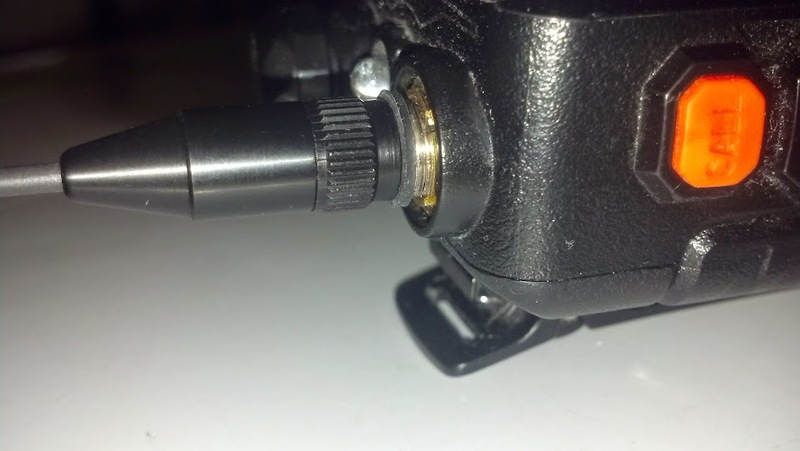 You don't want to strip the coupler or the radio's connector, but it should be pretty snug there, so that it'll stay in the radio when you unscrew antennae from it. I had this Comet SMA-24 laying around, and chose to use it on the Baofeng. It comes with a rubber spacer, which comes in handy for this install. The new antenna fits on nicely with the addition of the spacer. Without it, a little section of the coupler shows through. The end result is that all my other HT antennae now work perfectly on this radio.